Shaunti and Lisa have done an outstanding job talking about the issues, confusion, and dreams our kids face as they grow–and thus the issues we face as parents. Someone once said to me, God gives us the most important job in the world called parenting, and gives that job to inexperienced people. That is so true. But as you understand the inner life of your child, you will be much better equipped to meet the challenges and joys of being a good parent. I encourage you to pick up this book and start the journey of understanding today. Shaunti and Lisa have boldly gone where no one has gone before: straight into the brain of a teenager! The insights they have found give us a unique peek into the hopes, fears, desires, and challenges facing the next generation. Savvy parents will read and respond to what they learn in this book, and their family will be better as a result. I will be buying this book by the case. As a youth minister, I’m always trying to communicate to parents exactly what Shaunti and Lisa so eloquently and poignantly communicate in For Parents Only. Every parent of teens should read this brilliant book! Sandra and I love this book! With two teenage boys and a daughter who just started middle school, we soaked up Shaunti and Lisa’s insights and discoveries like sponges. This is not just another book on parenting. It is a fascinating look at the way your child’s mind works. We plan to use For Parents Only as a curriculum in our home group. 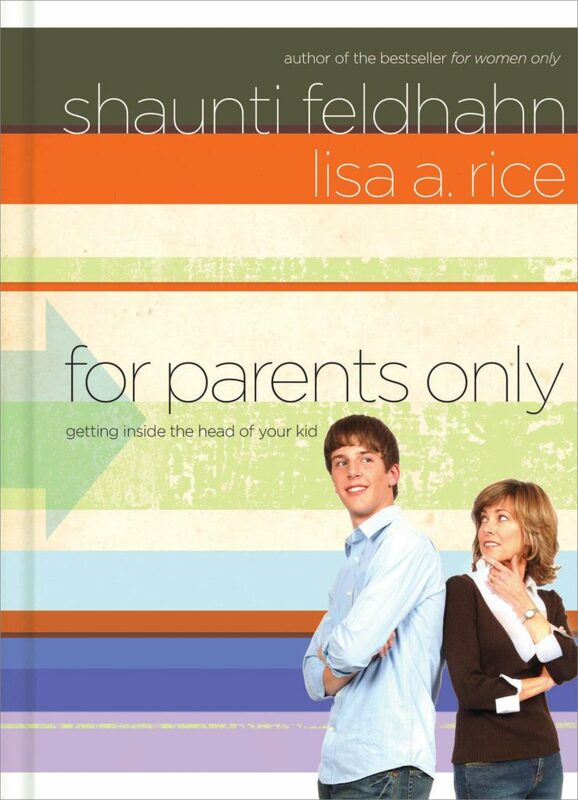 Shaunti and Lisa dive into the deepest core of kids’ hearts to bring parents amazingly insightful truths and advice. They hit the bull’s-eye when it comes to advice on raising children in the twenty-first century! At times I felt like I was sitting at a school lunch table, listening in on how kids really feel about their parents and what they would like to tell them. Shaunti and Lisa do an exceptional job of researching the topic and then making very practical suggestions. This gets my Five-Star rating on the HomeWord.com web site. I am so grateful for the hours of compassionate listening, ton of credible research, and weight of brutal honesty represented within the pages of this book. As a mother of three teenagers, I am the first to admit that I need help! Thank you, Shaunti and Lisa, for coming alongside on this wild, woolly, and wonderful adventure. For Parents Only beautifully breaks down the communication code between parents and children. Shaunti and Lisa consistently support their findings with extensive research and rock-solid solutions. This book delivers and we highly recommend it! Shaunti Feldhahn’s latest series of books have helped her readers unlock some of the mysteries of family relationships. Now she and Lisa Rice have given us keys to understanding our teenagers by hearing directly from them about why they do what they do. We only wish that this book had been written when our kids were younger! Do you remember how Maria responded when Captain Von Trapp proposed marriage? That’s right, she said, Let’s ask the children. Instead of speculating and postulating and pontificating, Shaunti and Lisa have done a brilliant thing. They’ve asked the children. And the children–teenagers–have told them the truth. I commend this important book to you. View more books written by the author "Lisa A Rice".